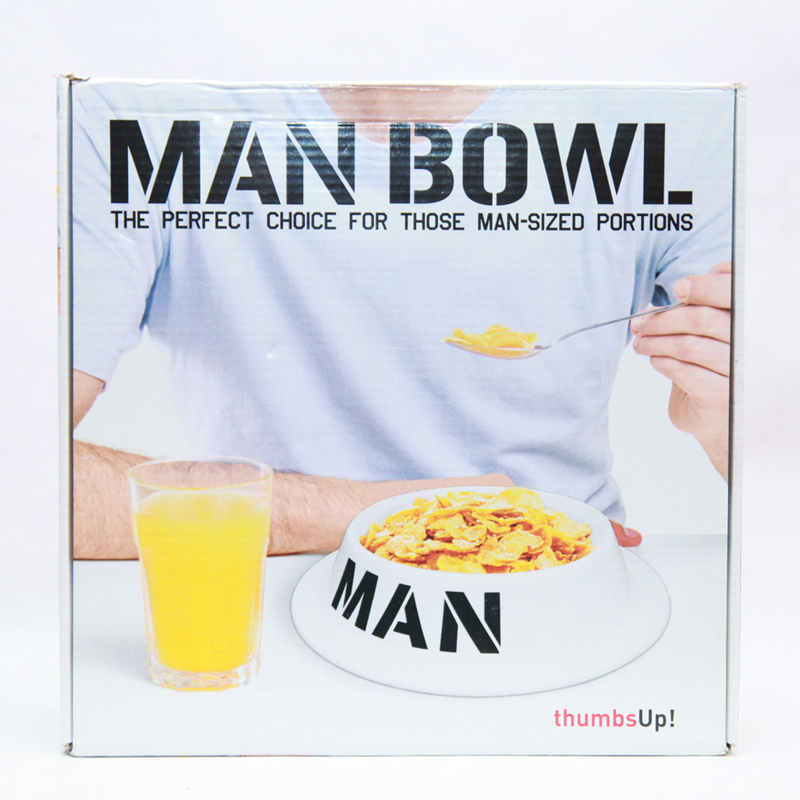 The Man Bowl is the perfect bowl for those man-sized portions that you crave. 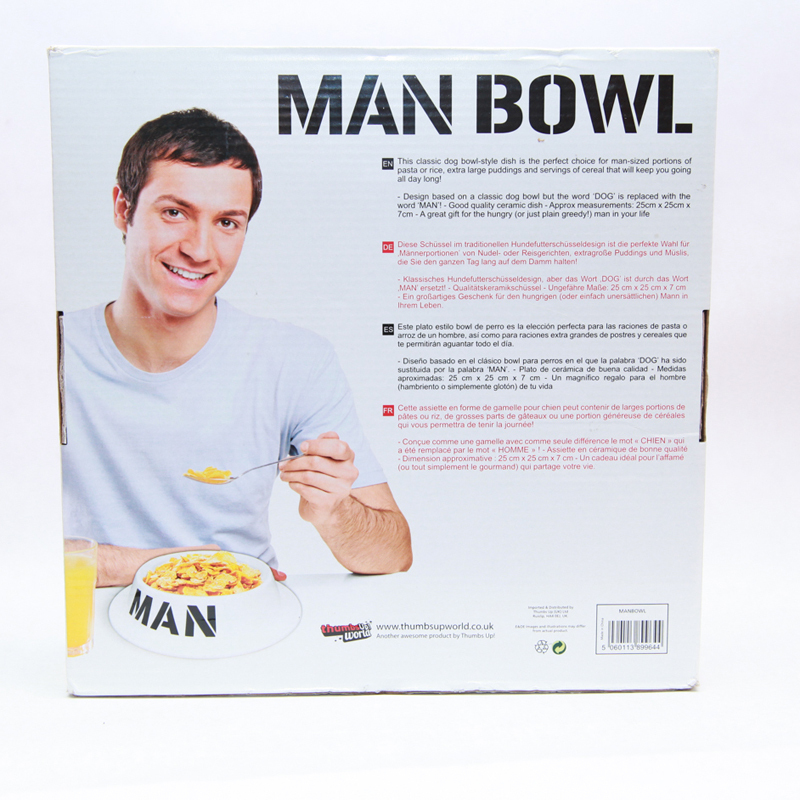 When you want a huge man-sized portion of pasta, rice or even cereal the Man Bowl will keep you going with its huge ceramic bowl shape. 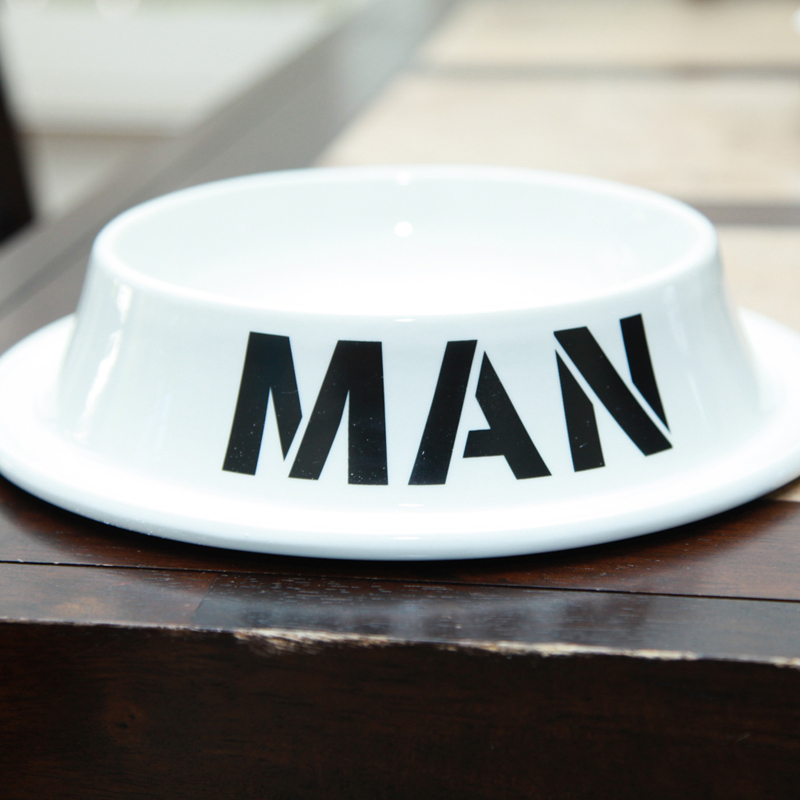 The design is based on a classic dog bowl, but the word dog is replaced with the word "MAN". This is a great gift for the hungry man in your life. Feature: - 9.8" x 9.8" x 2.76". Ceramic construction. Dishwasher safe and has a spot at every dinner table.